GOVERNMENTS MUST DREAD the day they have to post their credit card charges online. Thousands of charges totalling in the millions of dollars, it’s a sure bet someone will find something to highlight. The 2017/18 charges didn’t disappoint: 94,726 records totalling $59.7 million. It’s tough to always get a handle on the smallest charge, but it would seem to be 50 cents for parking in Victoria. The largest, hands down, was $35,000 with Diversified Expo by International Trade. Half-expecting to see the Legislative Assembly next to the $423 charge at the Savoy Hotel, but this one is in Nelson, B.C., and besides, the legislature doesn’t release its credit card charges, so far at least. Two ministries charged a total of $100 at That’s a Wrap, two others spent $560 at It’s About Time, while the Attorney General was out $313 with It’s Great News. Ministries charged $12,647 at car washes across the province and cars weren’t the only thing that got a wash. Environment charged $78 at Suds & Pups, as in canines. The Attorney General and Public Safety ministries charged $2,399 at Canada Luggage. They should have called the clerk’s office. Transportation spent $10 at Clever Cupcakes, charged $103 at Victoria’s Be Love restaurant and $76,778 at various restaurants in Kamloops. Naked Lunch ($1,309) – the name of a Squamish restaurant, not the recommended dress code – is growing in popularity with the ministry. They also dropped $1,300 with Kelowna’s Bake Naked Kitchens, while three other ministries charged $543 at WholeWheat & Honey.ca. It’s easy to fall into the trap of believing that if receipts, such as the credit card charges, are posted online all will be well in the government expense world. 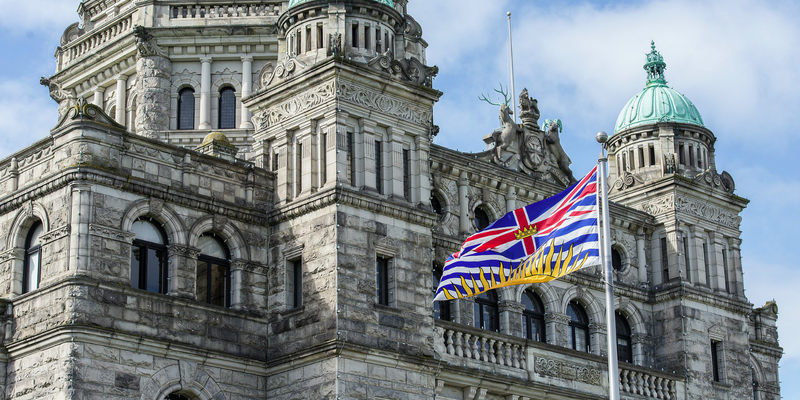 The closest either of B.C.’s two other party leaders come to something similar is the $75 that NDP Premier John Horgan’s constituency office spends for website updates. If it’s our money, then surely our politicians should be ready to discuss the details. Unless they have something to hide? 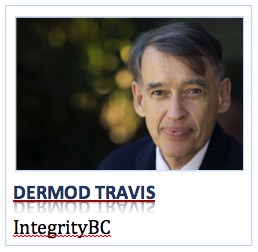 Dermod Travis is the executive director of IntegrityBC www.integritybc.ca.